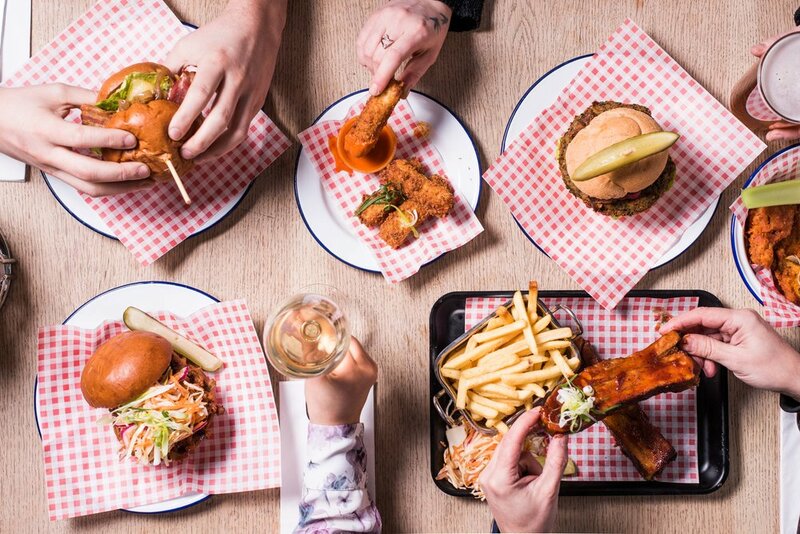 Lord Wargrave | Marylebone whisky pub and BBQ smokehouse. A GREAT BRITISH PUB WITH SERIOUS BBQ, SERIOUS BEER & A WHISKY FOR EVERYONE. The Lord Wargrave is nestled on Brendon Street, just off the Edgware Road, Marylebone. We're a short walk from Hyde Park and Oxford Street, and a stones throw from Baker Street and Marble Arch tube stations. We smoke all our meat in-house and probably do the best St. Louis pork ribs in town. A whisky fan's paradise, with over 250 different whiskies. If you like a sweet and smokey bourbon, a peaty single-malt or a super smooth blended, we've more than likely got the drop for you. We also have a great selection of rotating cask ales and keg beers, and our Sunday roasts are second to none. For 8 or more guests please email contact@lordwargrave.com or drop us a line on 020 7723 0559. When the sun is out on a nice, warm Summer's day, then grab a table outside and sit in the sun. At the Lord Wargrave we take whisky very seriously. To help you figure out what you love, we offer a choice of whisky flights to sample some of our amazing whiskies from around the world. When the weather is great, nothing beats sitting outside in the sun with a drink. Located just off Edgware Road on the corner of Crawford and Brendon Street, the Lord Wargrave is the perfect pub for an after-work beer. And if you start to get a little bit hungry then choose one of our great dishes to snack on. Feel free to order at the bar whether it be food or drinks, but you are also very welcome to sit in our restaurant and receive table service from a member of our staff. Book a table online, send us an email to contact@lordwargrave.com or call us on 020 7723 0559. With over 230 whiskies The Lord Wargrave wants each customer to be able to experience us much as they can. That's why we offer whisky flights — a board of 4–5 25ml tasting measures. Each board has been designed to allow the customer to explore the taste of a certain location, ingredient or method. Whether you are a beginner or a whisky connoisseur, there is something for everyone. The following flights are available: Dalmore, Jura, Scotch, Fans Of Peat, Japanese, Irish, Bourbon: Introduction, Bourbon: Premium, Cask Strength, Blended, Around The World and Different Finishes. Grab your friends and come by for a whisky tasting. Order a number of our whisky flights and become a connoisseur! We take our whisky very seriously. With over 230 whiskies we are happy to help you make a decision through tasters, notes and guidance. We offer whisky flights — tasting boards — to help you expand your knowledge on all things whisky. We stock over 230 of the best whiskies from around the world. With such a large selection available, we want you to experience the most you can. That's why we offer whisky flights for you to sample from. Our selections include Scotch whisky, from Speyside, Highland, Islay, blended, Lowland and Campeltown. Irish Whiskey, World whiskies are also available. It doesn't end there we also stock some great Japanese whiskies from distilleries such as Nikka, Suntory, Chichbu, and White Oak. Have a taste of our rye whisky too or choose from straight Bourbon, small batch or single barrel Bourbon. The Lord Wargrave is a beautiful old pub situated off Edgware road on 40-42 Brendon Street W1H 5HE. Close to the tube station Edgware Road on the Hammersmith & City Line, Circle Line, Bakerloo Line, Metropolitan Line and District Line. It is also very close to Marble Arch Tube Station on the Central Line, which sits on the corner of Hyde Park. The pub is also close by to the lovely Marylebone High Street, where you will find lots of interesting shops, cafes and The Conran Shop. Baker street, home to the infamous Sherlock Holmes, Madame Tussauds, Regents Park and Westminster University are also within walking distance. And retail heaven — Oxford Circus/Selfridges and Bond Street are also nearby. This makes the Lord Wargrave a perfect spot to pop into after work, university or a day of shopping. Choose from a wide selection of whiskies at the bar or take look at The Whisky Bible, where you will find everything you need to know about each whisky and taster board, including tasting notes, on the nose, palate and finish. Whisky is not our only specialty — we take lager and ale very seriously. We have cask ales that change regularly so you get the most out of what local breweries have to offer. Keep an eye on our social media pages and website for any upcoming events and entertainment — @Lordwargrave. We regularly have events and fun things happening to entertain our customers. Whether it is a live band, brewery tap takeover or pub quiz, there is always something happening at the Lord Wargrave. Sample over 230 whiskies at the Lord Wargrave. On the rocks, neat, or with water. Perfect evening with friends or clients, whisky tasting and enjoying some great dishes from our menu. We also stock a wide selection of cigars. We are dog lovers and welcome all! We love dogs, plain and simple. We cater for your fluffy friends so please don't hesitate to come by after a walk. Whether it's a nice day and you want to sit in the sun or you are a smoker, we've got some outside tables and chairs for you to sit at. Enjoy and al fresco meal or sundowners. Catch a gig at the Lord Wargrave. We have regular events and entertainment at the pub, where you can either sit back with a beer and listen to some great acoustic music, play a game of pub quiz with your mates and win some cool prizes and bar tabs or sample some great ales and beers at one of our brewery tap takeovers. If you would like to host a night here, perform some music, or host a comedy night, then get in touch. Sign up for all the latest news and events as well as EXCLUSIVE OFFERS on food and drink. We have a range of different spaces for both small and large events. Whether you are organising a birthday celebration, work event or just a get-together with friends or family we'd be happy to help you plan and deliver a great day.